Cultural Compulsive Disorder: The Wizard of Oz Described As A Horror Movie??? 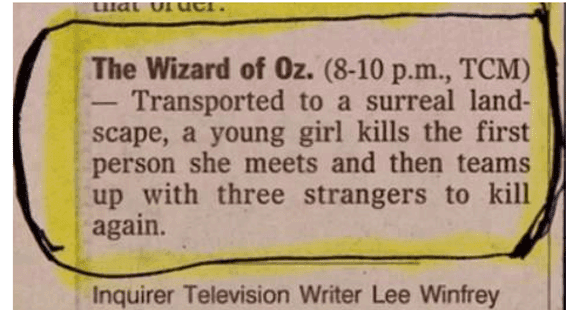 The Wizard of Oz Described As A Horror Movie??? If I had never seen it before, I would check it out in the expectation of some 70s/80s exploitation style horror!